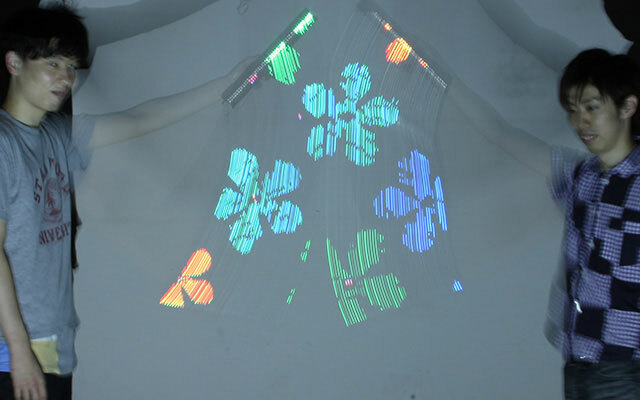 SteganoScan is a novel persistence of vision display. It`s a stick shaped display device with a single line of LEDs that emits light in full color and shows 2D images without any screen. This system is composed of two units: PVLC (Pixel-level VisualLight Communication) projector* and a receiver made up of an LED array and photo sensors. 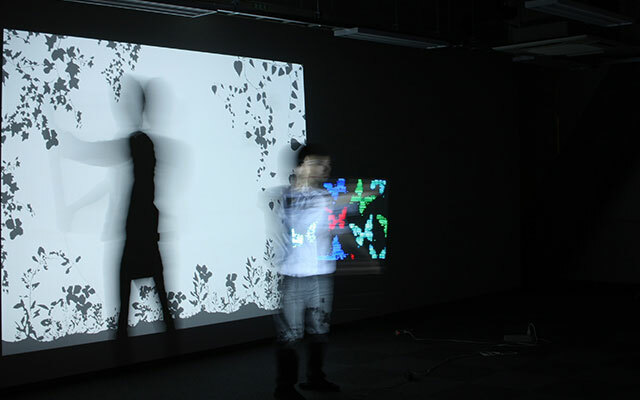 The PVLC projector can embed information pixel by pixel in the projected image. When users put the SteganoScan in the projection light, it captures and displays the information simultaneously. Moreover, by waving the SteganoScan quickly, viewers can perceive 2D images caused by the effects of retinal afterimages. 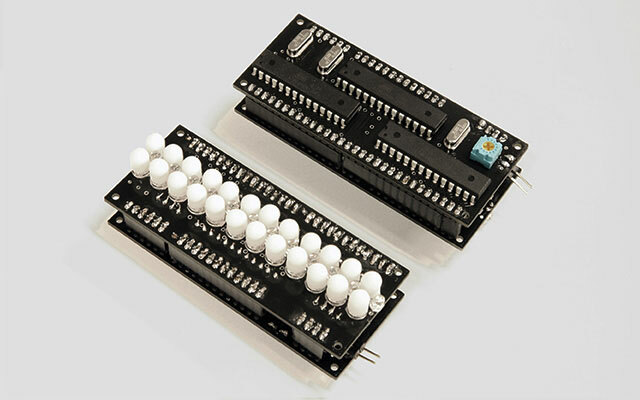 This system requires no synchronization of the speed of the LED array with the speed of its emitting pattern, and allows users to wave arbitrarily. 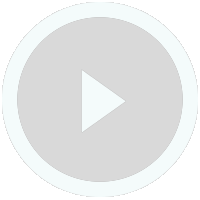 Furthermore, this system can present different 2D images according to its location. 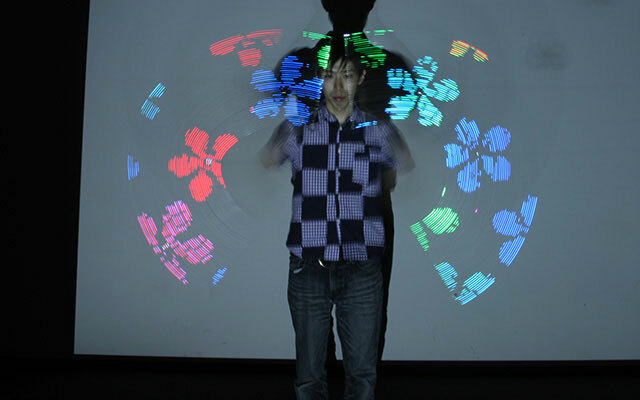 SteganoScan consists of full color LEDs, photo sensors, and micro controllers. A photo sensor is attached to each LED of the array, and the color of each LED is independently controlled with high-speed flickers of the projection light. 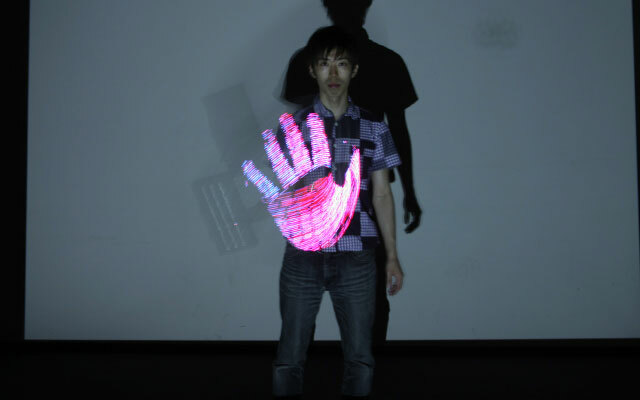 -Hideyuki Ando, Junji Watanabe, 2007, "Saccade-based display"